We choose our range of Price Match products based on the favourite grocery products our shoppers regularly purchase. Price Match is not on every product in-store. We then review a sample of individual Coles and Woolworths stores across Australia each week, located in each State. We check the Coles and Woolworths “everyday shelf price” for each product in the Price Match product range. We exclude Coles and Woolworths products which are on “promotion” or “special” (including weekly or temporary special offers and multi-buys) and excludes prices for products that are damaged or “reduced to clear”. To get a price for Price Match products, we match against the lower of the Coles or Woolworths price. The Price Match price comes into effect in store each Wednesday (Friday in Western Australia), reflecting either the Coles or Woolworths everyday shelf price from the previous week. Our Price Match prices in each State are as much as possible based on the price for the Woolworths or Coles store for that State. However, in some cases, IGA stores are supplied from a neighbouring State. In those cases, that store may instead use the neighbouring State’s Price Match price. In particular, for the ACT, we use the NSW Price Match price and for the Northern Territory, we use the South Australia Price Match price. In some cases, an otherwise identicial comparison product may be of a different size. In this case, we have matched the Price Match price to the comparison product on a pro rata basis.  Price Match products may separately go on promotion within Supa IGA or IGA from time to time. Where this happens and the promotion price is lower than the Price Match price, the promotion price will override that Price Match price so you still get the best deal. In the event that, for any reason, we are prevented from updating prices on Price Match products, we will continue to use the previous prices until further updating can be resumed or the item be removed from the Price Match range. Price Match is available at participating SUPA IGA, IGA and IGA Xpress stores.